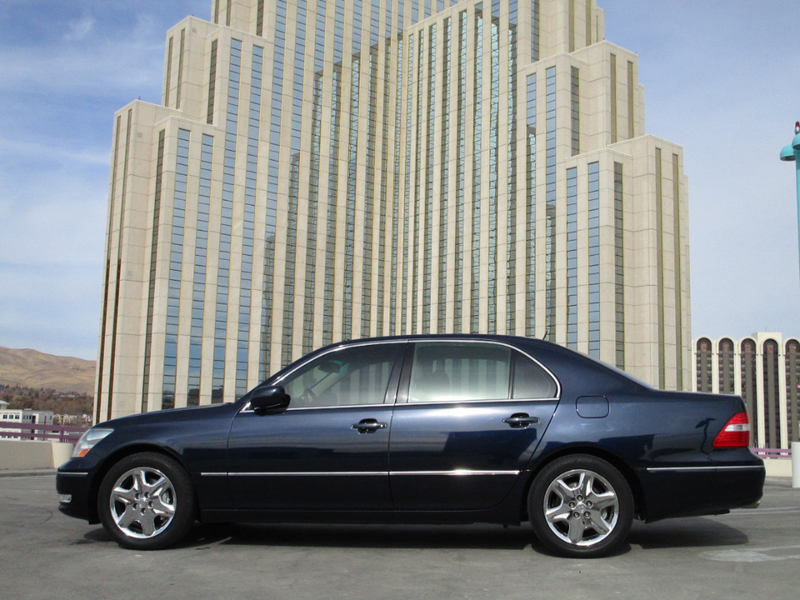 This is a beautiful 2004 Lexus LS430, 4.3 L engine V8, 290 hp @ 5600 rpm, 6 speed shift-able automatic, rear wheel drive, power steering, power seats with lumbar adjustment, power windows, heated seats, dual temperature control, daytime running lights, read door child safety locks, remote anti-theft alarm system, tire pressure monitoring, traction control, emergency interior trunk release, 4-wheel ABS, front and rear ventilated disc brakes, dusk sensing headlights, AM/FM Stereo with 178 Watts Stereo output, speed sensitive volume control, seven total speakers. Remote trunk release, cruise control, front and rear cup holders, tilt and telescopic steering wheel, front and rear reading lights, reverse tilt dual mirrors provides curb view when vehicle in reverse, 4 one-touch power windows, remote keyless power door locks. power mirrors. 111012 miles. This car drives and runs like a dream and is a super comfortable ride.